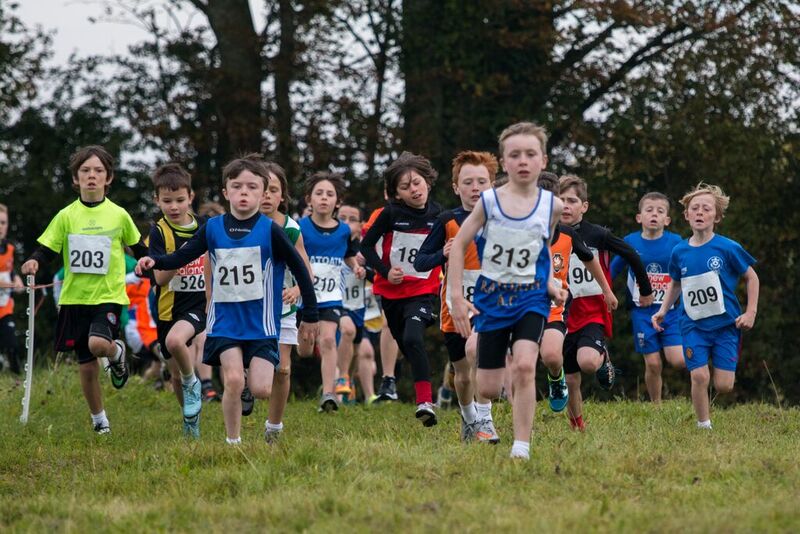 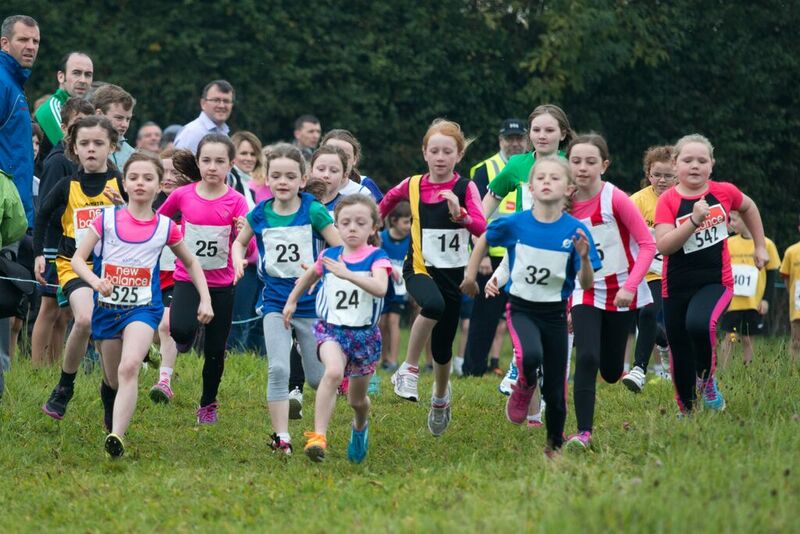 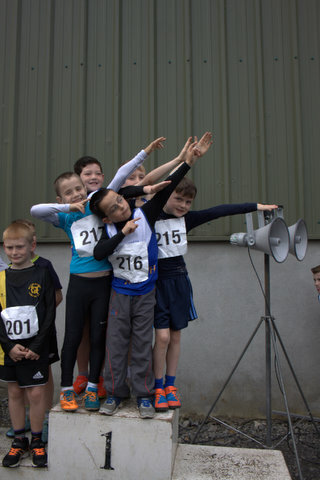 Day 1 and 2 of the Meath Cross Country Championships were held over the past few weeks with the even age’s championships kicking off the championship season in Broadmeadow Equestrian Centre, Ashbourne. Our u10 girls were in flying form with Caoimhe Fitzsimons having to battle all the way to the line to take the gold in the girls u10 1000m, closely followed by Ciara Coroner 3rd, Lauren Fewer 5th, Kate Rafterty 8th, great running also from Aideen Davis, Jane Dolan, Eline Lund, Kayla Smith and Sadbh Kelly. 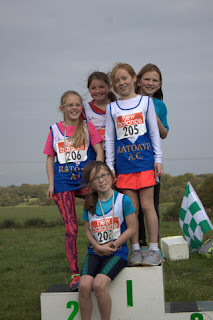 This is a very talented bunch of girls and it was no surprise that they secured the team title with a great score of 18 points. 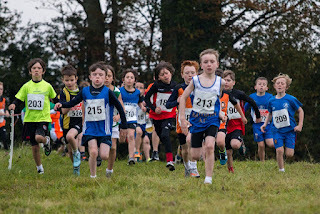 We had the bare minimum of 4 to make up the u10 boys team, great credit to the lads who were all running cross country for the first time, Sean Fleming had a terrific run to finish fourth, followed in by Adam O’Connor 14th, Jack Kelly 16th and Joshua Hall 18th which was good enough to place them 2nd with a score of 52 points in the team event. 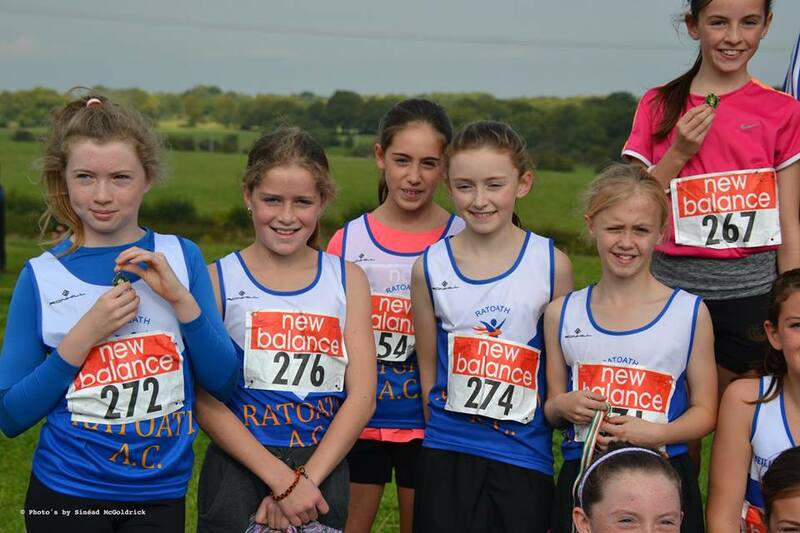 Aimee Doherty had a very strong run to win the girls u12 1500m, followed in by Sophie Quinn 6th, Amelia Campbell 13th, Ciara Walsh 16th, Molly Keane 18th and Laura Smith 23rd. Great run in particular from Ciara Walsh who has improved greatly this year and will be one to watch. 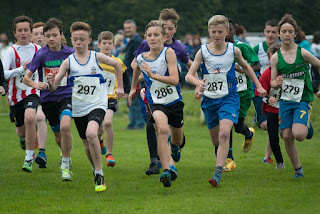 We had the bare minimum again in the boy’s u12 event, but with great individual performances from Fionn Drummond 3rd, Kyle Witter 8th, Jamie Fewer 9th and Callum Whitbread 25th the lads did enough to take silver in a very tight team event finishing only 4 points off gold. Aine O’ Connor and Ciaran Crowther were our only competitors in the u18 event, Aine finishing 3rd in the girls 4k event and Ciaran Crowther having a great run in a National Standard field finishing 4th in the 6k race. 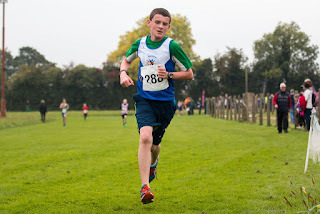 Hugh Kelly was our only senior in action finishing 20th in the Novice men’s 6k. 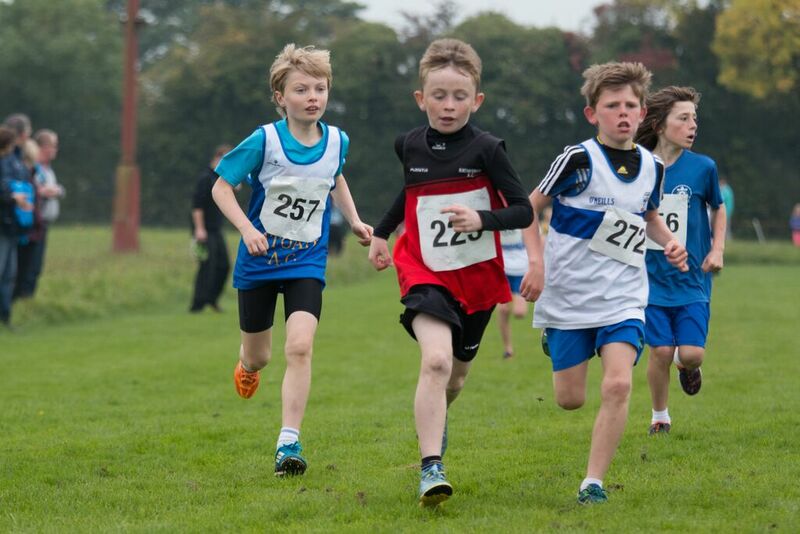 We had great numbers out for day 2 which was held at Fr. Murphy’s Athletic Club in Fraine, Athboy. 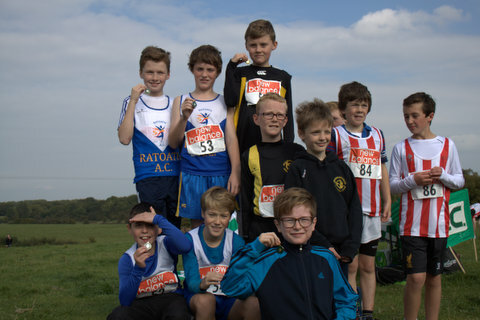 Our u9 showed no sign of nerves with both the girls and boys team finishing 1st in the team event with great team scores of 18 and 20 points respectively. Great individual performances from the girls with Katie Doherty 1st, Sophie Coroner 3rd, Saorise Corrigan 4th, Amelia Holland 10th, Tara Coyne 14th, Emily Pullen 15th and Enya Clare 18th and the boys with James Kelly 1st, Harry Bogan 4th, Fionn Heffernan 7th, Gavin Witter 8th, Liam Walsh 17th, Conor Walsh 23rd and Charlie O’ Connor 27th. 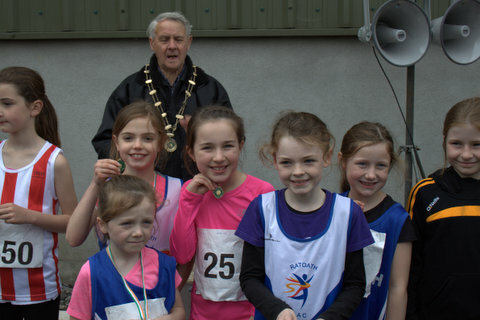 Sophie Quinn had a convincing win in the girl’s u11 1200m, followed in by Laura Kelly 5th, Aishling Stratford 9th, Lily Nannery 17th, and Amy Forde 18th, great running also from Caitlin Corrigan, Abbie Coyne, Niamh Murray, Ellie Mahon and Sophie Greene. The girls finished 2nd in the team event on a score of 32 points. 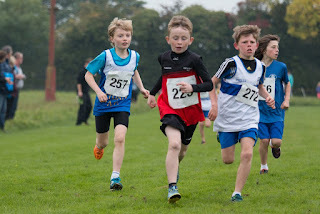 Eoin Kane had a great kick finish in the boys u11 race taking him from 4th to 2nd in the last 100m, had he gone earlier he would have surely taken gold, Eoin was closely followed by Harry O’ Connor 5th and the ever improving Stephen Walsh 10th, Oliver Walter 21st, Liam Doyle 31st and Matthew Keane 32nd. 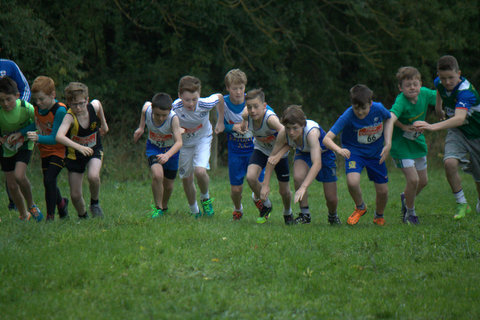 In another close team event the lads finished 2nd and were only 7 points off first place. Our u13 boys took our third team gold of the day with a great team effort and fighting performances from Tom Kilgannon in 3rd, Oisin Kelly 5th, Matthew Hayes another greatly improved athlete 9th and Stephen Kiernan with a great run 14th. It was great to see all the lads making the very talented County Team who should go far at Leinster and National level. 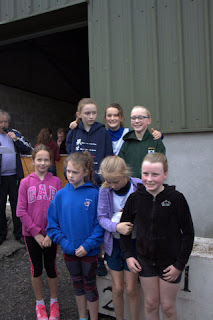 Our u15 girls team of Karen Hayes, Aoife Kelly and Zara Kane finished a close 2nd behind Trim in the team event, Karen finishing 5th, Aoife 8th and Zara 18th. 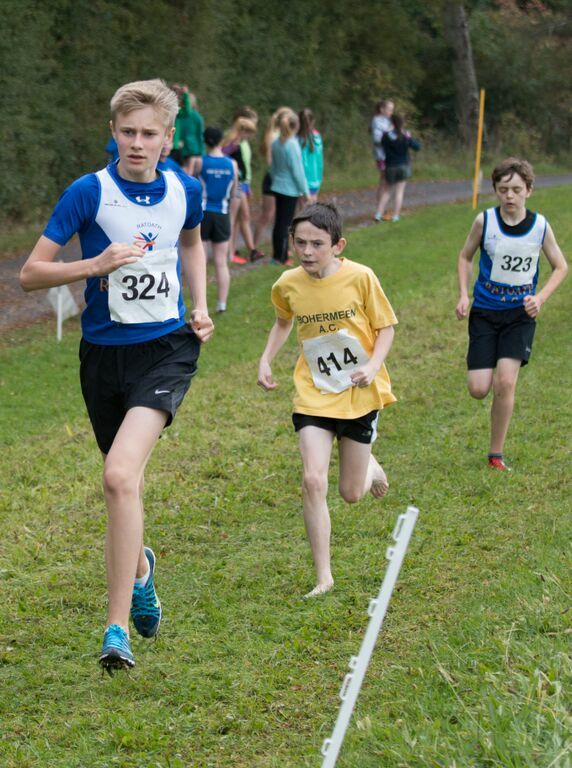 The u15 boys finished 2nd also with good performances form Adam Quinn 8th, Fergal Kilgannon 9th, Harry Haskins 13th and Ben Toole 15th. 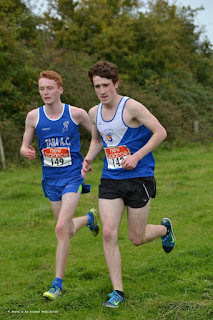 Ben Mahon and Harry Bailey gave the field a ½ lap lead due to a mix up in the event schedule/start time, the lads put in a good run none the less finishing 9th and 11thand both making the County team. Aine O’Connor was in top form also with a great run to finish 2nd in the girls u17 4000m.